Dubai: Many fresh graduates and mid-career professionals go back to school just to add three letters to their CV. 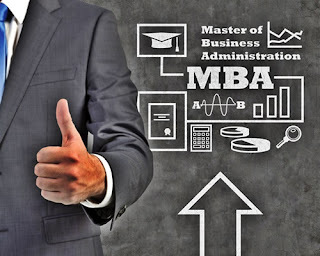 Getting a Master of Business Administration (MBA) degree is mostly favoured by those who are eyeing a change in their career or those who aspire for a more senior role. They believe the credential can make them more marketable or attractive to employers. There’s also a popular belief that candidates with an MBA degree pack more knowledge and expertise compared to their non-MBA peers, hence they seem to be a step ahead in terms of salaries and benefits. However, human resources (HR) experts said the three-letter credential is not the ultimate ticket to a better pay, new job or promotion. In the UAE, for example, many employers would prefer a candidate who has a lot of experience and the required skills. “An MBA can fast-track your career, however, in today’s job market relevant industry experience counts for a lot too,” said Bethan Robbins, commercial director of Hays UAE. “With the current economic climate, we’ve found employers are being more strategic with their senior-level hiring, tending to recruit established professionals with specific industry experience. Robbins said companies across industries value candidates who can effectively deliver, add value and quickly "demonstrate that value". “Experience is important in all industries especially the executive level,” Robbins told Gulf News. Annalinde Nickisch, HR consultant at The Thought Factory, said getting an MBA isn’t a sure-fire way to fast-track someone’s career, because it is the level of experience that plays a huge part in the talent selection process, or in determining whether or not an applicant should get promoted. “At one point, an MBA was an indicator of talent that could be used to filter an applicant. Now it merely acts as a qualifying factor,” Nickisch told Gulf News. Nickisch said most industries that want to hire skill-based professionals, such as sales or those who deal with customers, would prefer to recruit those with relevant market experience or industry exposure. “Though an MBA may pave a candidate’s way into landing a particular position, results achieved and personal efforts are prime factors in determining the career progression within an organization,” Nickisch pointed out. Some studies have shown that MBA degree holders are still favoured by many employers and that they enjoy better pay than their counterparts. According to the 2016 Robert Half Salary Guide for Accounting and Finance, an MBA degree is one of the in-demand credentials in the current job market. Other popular qualifications include certified public accountant (CPA) and chartered financial analyst (CFA). In yet another research, it was found that MBA degree holders who studied at a school accredited by the Association of MBAs (AMBA) in the UK have been getting the highest average salary in the country since 2014, with 11 per cent more graduates in 2013 alone earning more than £70,000 (Dh366,518) . The research was conducted among 1,000 MBA graduates from AMBA-accredited business schools. “[The study] demonstrated that the MBA continues to open the door to more senior roles,” the organization said. AMBA’s careers survey in 2013 showed that there’s been a growing number of MBA degree holders, particularly among women in the legal profession. Among the respondents polled for the survey, 15 per cent worked in consulting, 11 per cent in finance, 10 per cent in industry, 9 per cent in healthcare, 9 per cent in public service, 5 per cent in energy and 5 per cent in consumer goods sector. Compared with 2010, there was also a 67 per cent increase in women who reported working in the legal field . According to AMBA, a master’s degree is designed to expand horizons and build on one’s strengths. People who are aspiring to earn the degree, especially those who have a regular job, are advised to consider a number of factors, including their ability to manage the workload and commit to the study, availability of family support, among others. An MBA student who signs up for a long distance learning course can expect to spend a minimum of 20 hours every week. Students may also be required to have a minimum work experience of approximately three to five years.